Goose Live Events Limited has been appointed by Pall Mall and Woodcote Park Clubhouses Limited whose registered office is at 89-91 Pall Mall, London SW1Y 5HS, trading as the Royal Automobile Club (the Club), as the Organiser of the Bonhams London to Brighton Veteran Car Run supported by Hiscox (VCR). The website www.veterancarrun.com is hosted by Drum Studios Limited but is controlled and operated by the Organiser, who is responsible for the content and links provided to the website on the Club’s behalf. Our online payment provider Worldpay through which all website transactions are processed – their data protection policy is available here. We obey and respect the law in relation to privacy and protect your personal information from possible misuse. We take privacy seriously. We only collect personal information about you (for example your name, address, telephone number, email address) when you specifically provide us with such information on a voluntary basis, for example when you enter a vehicle for the Run (our Entry Regulations will be available as soon as entries open), purchase items from the shop, enquire about the event or, when subscribing to receive the newsletter. Any personal information we collect via our website will never be released or sold to any companies or individuals outside of the Organiser, the Club or authorised partner companies who provide services on our behalf. We do not store credit card details. No data will be transferred outside of the EU. We will not share your personal information for marketing or any other purposes without your consent (unless where required by law). If you have registered your interest with www.veterancarrun.com and/or any of our associated companies, and given your express consent, you may be contacted with relevant promotions, offers or event information from us. We will tailor these communications using the information we have about you but you can object to that at any time. We may also process your data because it is necessary to fulfil a contract or because we have a legitimate interest to do so. We do research and collect limited work-related contact information from publicly available sources, to identify and communicate with business prospects. We rely on legitimate interests to do this. Other information you give us, for example your age range, your general geographic location, the times and dates you use our services allows us to see what 'types' of people use our site. We may share such aggregate information with third parties on a discretionary basis, in the interests of building a profile of our website users (e.g. which are the popular areas on our website and how long our guests spend on them etc.) in order to improve the event and the services we offer you. An IP address is a number that's automatically assigned to your computer whenever you're browsing on the internet. Web servers, the big computers that 'serve up' internet pages, automatically identify your computer by its IP address. We collect IP addresses for the purpose of system administration, to create reports and to audit the use of our site. When you use our site, our servers or computers log your IP addresses. We do not link IP addresses to anything personally identifiable, which means that you remain anonymous to us. A cookie is a small text file, which often includes a unique identifier that is sent to your computer or mobile phone (referred to here as a "device") browser from a website's computer and is stored on your device's hard drive. There are various types of cookies which perform different functions, such as remembering which items you have placed in your shopping basket or recording your browsing habits. The information recorded by the cookie is retrieved on the user's next visit to the site. If you wish to learn more about cookies please visit www.allaboutcookies.org. Most web browsers will accept cookies, but if you would rather that we did not collect data in this way you can choose to accept all or some or reject cookies in your browser's privacy settings. Rejecting all cookies means that certain features cannot then be provided to you and accordingly you may not be able to take full advantage of all of the website's features and you may be prevented from completing your transaction. Each browser is different, so check the "Help" menu of your browser to learn how to change your cookie preferences. On veterancarrun.com, cookies record information about your online preferences, remember information about you when you visit our site and compile statistical reports on website activity. Some cookies are used that are essential in order to provide our services to you. 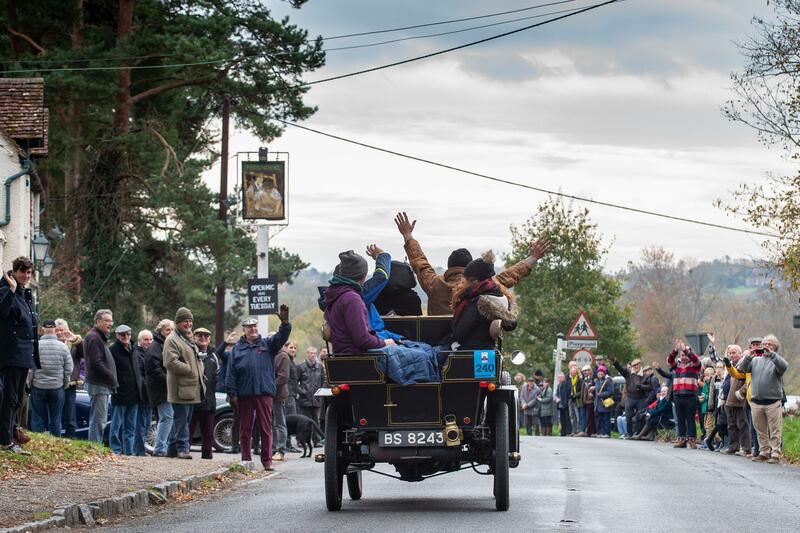 During the course of any visit to veterancarrun.com, your navigation through the site is recorded by a cookie that is downloaded to your device. The information recorded is retrieved on a repeat visit to the site by checking to see, and finding, the cookie left there on the last visit. PHPSESSID No On Exit This is the cookie that keeps the user logged in when they refresh. _ga No 2 Years Registers a unique ID that is used to generate statistical data. _gat No On Exit Used by Google Analytics to throttle request rate. _gid No On Exit Registers a unique ID that is used to generate statistical data on how the visitor uses the website. Collect No On Exit Used to send data to Google Analytics about the user's device and behaviour. Tracks the visitor across devices and marketing channels. We use 2048-bit Secure Socket Layer (SSL) encryption across our website. This system encrypts your personal information so that it cannot be read if intercepted by a malicious third party. The Organiser only grants access to your information to those employees who need it in order to do their jobs. Any employee who violates this privacy and/or security policies is subject to disciplinary action, including possible termination and civil and/or criminal prosecution. We will NEVER ask you for your password in an unsolicited phone call or e-mail. Ultimately, you are responsible for maintaining the secrecy of your passwords and any account information. Remember to sign out of our website and close your browser window when you have finished what you've been doing; this is to ensure that others cannot access your personal information and correspondence if your computer or mobile device could be accessible to others. We are not responsible for the privacy policies or practices of any third party sites linked to our website. As a result, we advise you to read their privacy policies before submitting data to such sites. We are not responsible for the privacy policies or practices of any third party sites linked to our website. As a result, we advise you to read their privacy policies before submitting data to such sites. In accordance with the General Data Protection Regulation, you have the right to access any information that we hold relating to you. You also have the right to control the processing we are doing and, in some circumstances, can ask us to erase your data. You may unsubscribe from receiving targeted updates from us at any time or update your preferences. A link to enable you to do this is available with all our email communications. Alternatively, email us at vcradmin@goose.co.uk and we can make these updates on your behalf. We strive to protect your identity and privacy, but we cannot guarantee the security of any information that you disclose online, and you do so at your own risk. We reserve the right to make changes to this policy from time to time as necessary. Your continued use of this and any other sites owned by us following the posting of any such changes to these terms implies acceptance of those changes. Please check back regularly for changes.